As a member of the business world, choosing the correct bag for business travel is important. 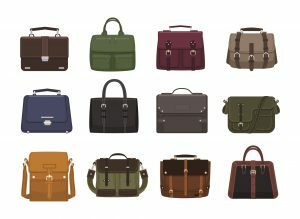 And with the world becoming more versatile, there is no “one” answer to this question of the best business travel bag. For example, is it better to purchase a lightweight canvas type or high-quality leather one? In this post, we will be examining business travel bags by price, material, and features of the bags. Hopefully, this post will guide you to find your best business travel bag to alleviate any discomfort felt during business travel. And may you be able to choose a business travel bag that not only looks good but also works well for your business needs! For people who are still inexperienced in taking business trips, it may be difficult to know how to choose an appropriate business travel bag. When making a reckless decision, you may end up experiencing unnecessary discomfort and hardship. Therefore, look through the following 3 tips when making your business travel bag selection. Decide the size of the business travel bag you require. The “bigger is better” concept is not always true. The bigger the luggage, the heavier it is. And at times, this weight is really unnecessary and troublesome. Imagine lugging the bag through a large airport or while changing trains in an unfamiliar city. Likewise, being too compact is not the best either. If all the clothes, etc., cannot fit inside the business travel bag, the number of carry-ons or handheld luggage will increase, restricting your movements while traveling. It is important to consider what items you will be bringing on the business trip, especially the size of your laptop. Consider the contents in relation to the dimensions of the bag before purchasing your business travel bag. 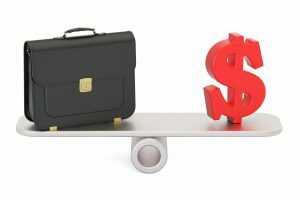 But remember, in the event, the business travel bag alone will not be enough for certain business travel requirements, you always have the option of carrying a suitcase as well. As the objective of your travel is business, choose a business travel bag that will not reveal the content of the bag. Imagine how your client will feel if your personal belongings were revealed during a customer visit? We recommend business travel bags with double sided, separate zipper compartments. This would lower the risk of your personal items being seen. And as your client, business associate, etc., will not see your personal items, he or she will not feel any awkwardness or discomfort either. It would be a good idea to choose a business travel bag with many compartments and pockets to ease your mind your personal items will remain private. The more compartments the bag has, the more sections there are. Therefore, you are able to divide the items into more categories for better, more discreet, storage. Of course, the appearance of the bag is an important factor, but we recommend placing a higher priority on the functionality of the business travel bag. If your business requires you to change locations frequently, a bag which can accommodate this need should rank higher than a business travel bag that just looks nice. For example, consider if rain is an important factor for you. If so, with leather becoming easily damaged in the rain, a bag made from nylon material may be more appropriate. Furthermore, there are business travel bags that use the special rain-resistant material. Or bags with a special rain cover. Choose a business travel bag according to what is important to you. In addition to rain innovations, there are “adjustable” bags. An adjustable bag is a bag which can adjust its size as required, allowing users to expand and contract the size as needed. With this adjustable feature, the capacity is customized to that business trip. At times, the compact size allows ease of mobility. Alternatively, when a larger amount of items is needed, the business travel bag can expand. Now we will look at the different business travel bags available online. Factors such as material, functions (water-resistant, etc. 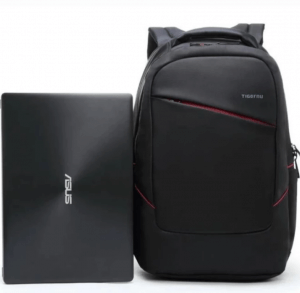 ), the dimensions, particularly, laptop size considerations, and the storage compartments along with the price have been considered in creating this ranking. This waterproof Oxford fabric and polyester business travel bag is wear and scratch resistant, making it quite durable during travel. 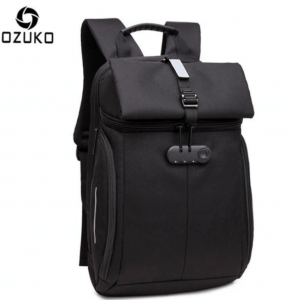 Within the main compartment of this backpack is a special slot for your laptop as well as pockets for mobile phones, etc. This product has reflectors, making it visible in the dark, to protect the safety of its users when traveling at night. And an anti-theft lock, which is an important point as well. The dimensions of this business travel bag are 46 cm x 31 cm x 10 cm. And the recommended laptop size is up to 15 inches. Unfortunately, there are not many reviews for this product. However, the safety reflectors, durable material and thought into the design of the exterior and interior make it a viable option for business travelers to consider. This durable nylon fabric business travel bag boasts multiple compartments to provide separation of business from personal items. There are three main pockets as well as nine inner smaller pockets and 3 sealed pockets. This bag’s durable double zippers provide the user with anti-theft features as well. And, the built-in USB charging port is an important feature for businessmen on the go. 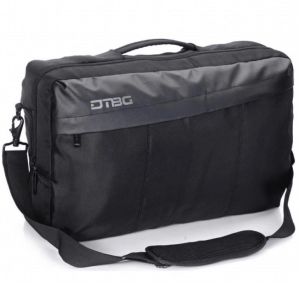 The dimensions of this lightweight travel bag are 29 cm x 15 cm x 45 cm. The recommended laptop size is within 18 inches. Though this bag has few reviews, it is an item to be watched. With multiple pockets, users are able to store their personal items discreetly during business travel. In addition, the USB charging port is a feature businessmen should not overlook. This nylon shoulder bag has hidden back straps allowing its users to convert the shoulder bag into a backpack. In addition, there is extra foam padding in the laptop compartment aimed to protect your laptop from any unexpected bumps during travel. The dimensions of this versatile, PC friendly bag are 32 cm x 10 cm x 46 cm. The recommended laptop size is 15 to 16 inches. Though not yet well-known, the few reviews found on this product emphasize its versatility and spaciousness. The various pockets can be used to group and store items accordingly, which is helpful to the purchaser. 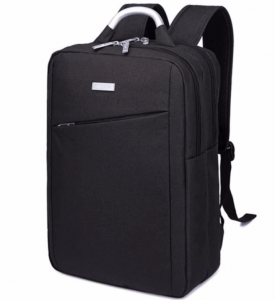 Though admittedly on the higher end, this backpack/suitcase is very convenient for the business traveler on the go. 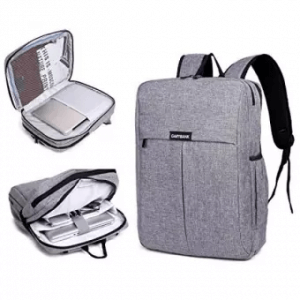 Containing both a top and side panel zipper, the user’s personal items are kept very private while being able to access business tools in a separate compartment swiftly. The material is water resistant on the top layer with waterproof material for the bottom layer. The size of the bag is 45 cm x 33 cm x 12 cm. The recommended laptop size is up to 16 inches. The materials used and the separation of personal items from the laptop are among the positive things purchasers have had to say about this product. The appearance is good and the slim, non-bulky quality is praised as well. This high-grade polyester shoulder bag is durable. There are two main separate zippered compartments as well as a front and back pocket. The front and back pockets are ideal for A4 files or iPad tablets, etc. One of the two main compartments serves as a laptop compartment for laptops and all the IT related accessories needed during travel. The overall size is 40 cm x 30 cm x 17 cm, with the depth of 17 cm having an expandable feature as well. The recommended laptop size is under 16 inches. 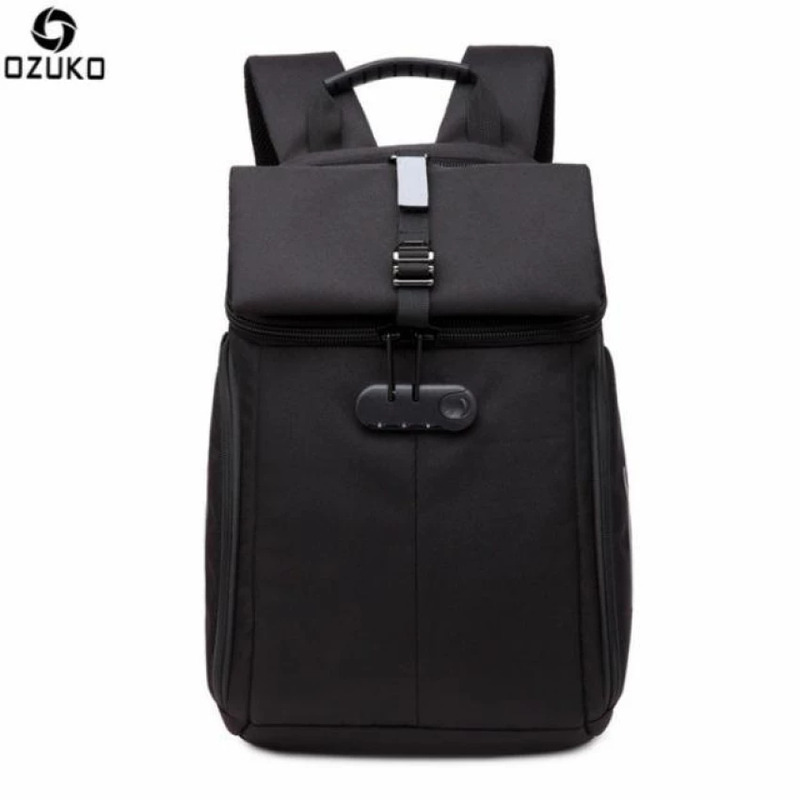 Though reviews of this product are not available, the discretion of the bag, having a separate zippered compartment for private and business is an important point. Also, as there are many pockets, the user is able to divide and store items as needed. The material used is also sustainable and the versatility using or detaching the shoulder strap makes this 2-way business travel bag a bag for consideration. 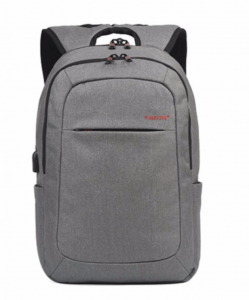 This waterproof business backpack has good reviews from its purchasers. The interior slot of the bag is for laptops, mobile phones, etc., and has an interior keychain holder. This bag has double layers and anti-theft zippers. The dimensions are 32 cm x 18 cm x 48 cm. The recommended laptop size is 12.1 to 15.6 inches. The comfortable use of this bag is reviewed positives. The back of the bag contains a foam-like material, making it easy to carry on your bag. The ergonomic factor, along with the quality and design is the top features of this product. 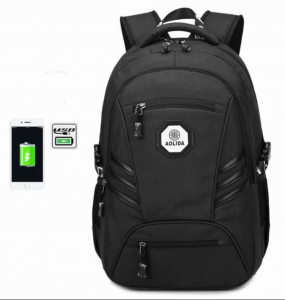 This splash-proof and scratch resistant nylon business backpack has an external USB port which may come in handy for our business travelers. To prevent theft, the manufacturers have installed double layered zippers as well as a hidden pocket at the back of the bag. The bag is quite light, weighing only 1.25 kilograms. The dimensions of this bag are 30 cm x 17 cm x 48 cm. The recommended laptop size is from 10.1 to 14 inches. Reviews include positive comments of the durable material. The thickness of the material is appreciated along with how lightweight it is. This water-resistant, oxford clothed business travel bag is a bit smaller than the others but is very popular among its users. The design is sleek, and quality of the manufacturing is praised. The lightweight aluminum alloy handle is also a welcoming point for its purchasers. This bag has 3 separate compartments with its own individual zippers. 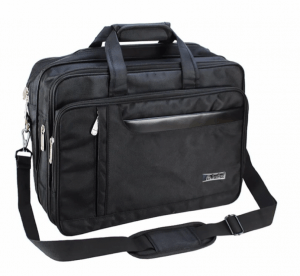 The dimensions of this reasonably priced business travel bag are 31 cm x 12 cm x 41 cm. The recommended laptop size is up to 15 inches. When used, the bag does not become “bulky,” making it comfortable to use. With all these qualities and a reasonable price, the cost performance of this bag earned it the number 1 spot on this list! From backpacks, shoulder bags, small and large, there are many types of business travel bags. In addition to water-resistant fabrics, USB charging port or other IT related functions have become factors to consider as well. The objectives of your business travels, the demands and limitations differ from traveler to traveler. 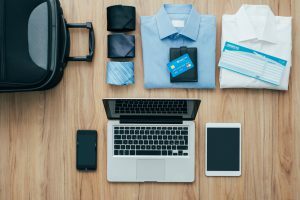 Hopefully, these guidelines and recommendations can help you make a smart purchase for business travel bags. Good luck!